Discussion in 'RockyTalky' started by kmoro, Apr 15, 2019. I’m just wondering if anyone has had a similar experience and/or advice. I insured my first Whiteflash purchase by submitting receipts. JM automatically added 30% to the cost and I insured the items for that. Now I have been trying to get them to insure my upgrade - basically a replacement of the first ring for a more expensive ring. I submitted the receipts like I did the first time. JM will only insure me for the cost this time, saying that I need an appraisal. I don’t get it. I didn’t do anything differently. I submitted receipts from WF. What good is a policy when I’m only insured at today’s cost? Why do I suddenly need an appraisal? They based my premium on the appraisal for me. Never asked for invoice. I don't know all their policies but have found them very helpful on the phone. Try giving them a call. Also, I always had to supply an appraisal for insurance. I’m insured with them and they told me I needed an appraisal for them to pay anything in the event of a loss.... which is why I went out and got one. They got my receipts & a photo of the GIA cert the first time I insured with them (and they pulled those back up since I have since lost them), but they said it wasn’t sufficient to actually pay a claim. Doesn’t WF usually provide a (painfully inflated) basic appraisal that you could submit for the interim, until you can have a thorough appraisal done? Fundamentally, the reason the insurer is asking for paperwork the description and photographs of the item and the pricing that will allow them to replace it in the case of a loss. For a new purchase of a replaceable item, meaning something where they’re likely to be able to supply another one and where the date of the transaction is relatively recent, a well-written receipt is likely to fill the bill. I’m going to guess the issue has to do with the way the paperwork is written because of the trade-in. You’ve got multiple dates involved. Call them and ask, or ask your rep at Whiteflash. Not to sound self-serving, but you might want an independent appraisal anyway. There’s a lot more than a price. FWIW, automatically inflating the 'appraisal' value isn't necessarily doing you favors. *IF* they can replace it for the transaction price (or less), that's exactly what they'll do in the case of a loss. The only thing an automatically inflated value does for you automatic increases to your premiums. Ss52, Octo2005, sledge and 3 others like this. I know they will if you ask for one. They told me they do not give appraisals. Thank you for the advice, everyone. I think I need to phone them. See what an internet person I am? I have been trying to sort this through e-mail ... I hate picking up the phone, lol. I feel silly as I should have just done that in the first place. I’m generally really stupid before 10:00 a.m., and today was no exception. I requested one and got one. It was a bit inflated though. Maybe they stopped doing it. In the past, I have just sent them my wf receipt and it was easy. But since I have a setting that I would expect to be replaced exactly, I wanted a full appraisal. This time I had to send in extra pics too. The first time all I did was send the receipt as well. That’s why I’m confused. Also, not sure when you got the appraisal from Whiteflash, but Magen (my awesome rep) told me that they don’t do them ... I did ask specifically. I decided to get an appraisal regardless. I find they are always inflated for insurance - some people hate this because it inflates the premium, but I want it so that I feel safely covered ... ETA I just read @denverappraiser’s message again about the inflated price not doing me any favours .... point noted and thank you! There are times when an ‘inflated’ appraisal makes sense. For example, with antiques or other such things that can’t be reasonably replaced. They’re looking for ‘like kind and quality’, and that may end up costing more. Very unusual items can be an issue. Designer goods where someone has discounted the designer and where the discount may not be available again can cause troubles. It can come up when the transaction has been a while and prices may have changed in the meantime. None of these sound like they apply here. What people WANT it to mean is that the dealer gave them a fantastic bargain. That’s certainly what sellers tend to like, what they tend to say, and why seller written appraisals tend to be among the worst offenders. Kmoro I hate the phone with a passion too! lol... but I was pleasantly surprised when I called JM. The rep I spoke to was very helpful. Good luck! I got voice mail, lol. I wonder if their policy changed, or you hit a new wall of policies with the replacement value of the new stone vs the old? Of course you did! Classic!! I live in the UK and have just purchased from Whiteflash after everyone’s help here however in order for me to get insurance in this country I will have to get another appraisal in this county as the valuation from whiteflash will be no good here. I think it’s compulsory here to have an appraisal for insurance, also I think this has to be updated depending on the insurance company, this insurance company didn’t pay out because there was a clause stating any items over £7,500 must have a new appraisal every year. kmoro hmmm.... did you speak to a representative when you learned that the insurance would extend to Canada, and more specifically, did you speak to one of their claims adjusters or have your rep speak to the claims adjuster? I would hate to see you have a loss and have your claim denied. Just make super sure that your insurance not only "covers you in Canada" but extends to residents of Canada! Sometimes the right hand doesn't know what the left is doing when it comes to insurance companies, and it is not unusual for a representative to *think* they know something and tell you something and then for the time for a claim to come along and the claims person has a different perspective on the matter. I know you didn't ask about this but I can't help but mention it! My husband is a commercial insurance underwriter and claims adjuster and he has seen it all. Basically, if you do anything unusual that deviates from the explicit policy in any way, you are playing with fire when it comes to a potential loss (as the example cited above illustrates). I had a similar experience. Receipts were always enough. Then for my recent upgrades they wanted an independent appraisal. I live in the middle of nowhere and wasn’t about to drive 3 hours for an appraisal on this thing. When they balked, I told them that in that case I’d just have to cancel my policy after 10 years as a loyal customer. Suddenly... a receipt became sufficient. Sandeek, msop04, kmoro and 1 other person like this. I have just been through a few rounds of this. This was my experience: If I had an existing mounting and changed out the stone (which I've done), or had an existing stone and changed out the mounting (don't that, as well! ), I would need an appraisal. But... if I purchased a new diamond AND a new mounting together (as I just did in Feb.), the receipts for that would suffice for the insurance coverage. This was the same for both Jewelers Mutual and GemShield coverage. That makes sense, and is probably why they have me a hard time. Mine was upgraded setting, same stone. That being said, I till had my receipt from the original purchase of the stone, and had the receipt for the purchase of the new setting. They wanted me to get an appraisal for the new piece together but I just wanted it to be insured for the total of the two combined.. like I said I don’t like in a place with a lot of options for appraisals so it was becoming a hassle. I think we left it as me promising to get one eventually buttttt that was 5 months ago so, will see if I need to do that when I renew again in October haha. Thank you for this! I will look into it further. I am playing telephone tag with JM .... I did ask specifically, but as you say, that may have been wrong. The other thing I left in my voice mail was a question about the appraisal being in Canadian dollars. I’m beginning to think I should insure with a Canadian company. Maybe this is a blessing in disguise! I have asked Vera to reach out to you to see if she can help synch you up with someone at Jewelers Mutual who can assist. The automated system which Whiteflash (and a few other e-commerce sites) has integrated with them is designed to make the initial purchase easy and convenient. Binding subsequent insurance may entail more requirements. However, JM are typically quite reasonable and easy to deal with. Once they understand your particular needs I am confident they will be as accommodating as possible. And anything needed from Whiteflash in order to facilitate, we are happy to provide. sledge and kmoro like this. Thanks Bryan! I’m not that confident since I have explained my situation to JM several times now .... but I’ll let Vera work some of her magic and see what happens. kmoro I would personally err on the side of caution and just get a personal policy directly from the Canadian subsidiary of JM, esp after reading the above post from WF and seeing that they have some kind of special automated system/special insurance product for e-commerce sites etc. I feel like those kinds of systems and policies are designed for ease of use and so they are calibrated to meet the needs of the most common type of customer, but they will not necessarily have the same supports in place for special situations. This also explains why you are getting an answering machine, frankly -- you are likely calling a different number than the one I have always called where I always was directly connected to a real human who could consult with other real humans to answer my (often unusual) questions! Jewelers Mutual does serve customers in Canada with the exclusion of Quebec. Please see this page that is part of our web integration the content of which is controlled by JM. It is possible that a particular agent at JM may not yet be familiar with the details of the web integration program, such as what paperwork is or is not required in the case of upgrades. The program is fairly new and has only been implemented by a limited number of companies at this time. All straightened out! Thank you Bryan and Vera! I am still confused though ... per a customer service lead email and the person I spoke to today, they “automatically add 30% to a receipt value.” Yet I must have sent them at least six messages and got a response that seemed that my message wasn’t even read, and the values were still at cost. I have, in writing, instructions telling me that I need an appraisal. My earrings that I purchased from a different vendor were insured at cost, but I just assumed JM didn’t partner with them. Today, they offered to add 30% to that value as well (I don’t care that much about the 30% on the earrings). I do remember what @denverappraiser said ... I am just so risk-adverse by nature that I prefer to spend more money on premiums, I guess. Below is one of the messages that I got, after submitting the receipts. I realize that it’s all water under the bridge, so to speak, all’s well that end’s well (and I may even have been better off leaving it at cost, lol). My message below it is one of a string of similar messages. To their credit, JM apologized a lot and was very pleasant and helpful today! Thank you for contacting Jewelers Mutual Insurance Group. We require the use of documented values when changing them on the policy. You may seek out an appraiser to value the piece if you feel the value on the policy is inadequate. Regarding the future value of jewelry, we encourage that you submit updated appraisals every 2 years so that we can update the value on your policy accordingly. Each year at your renewal, if you have not submitted a new appraisal within the last 2 years, there will be an automatic increase to the value listed on your policy. Historically this has been a 2%-4% increase each year. This automatic increase helps with the rising cost of jewelry over time, but is not as accurate as an updated appraisal that a jeweler has completed for your specific piece. Although new appraisals are a strong recommendation they are not required. We also give you the option to decline the increase and maintain your value from the previous policy term if you wish. 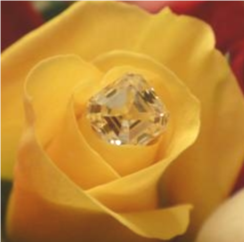 We appreciate your trust in Jewelers Mutual to protect your precious jewelry and the special moments it represents. If you have any further questions, please do not hesitate to contact us. Our business hours are 7am – 7pm Central Time Monday – Thursday and 7am – 6pm Central Time on Friday. EXTERNAL SOURCE: Use caution with links and attachments. I’m really concerned about the new value though. If I understand this message correctly, the new insured value is at cost. My previous items were insured at cost + 30%. I provided you the identical type of information, which was the receipt from Whiteflash that showed cost and was not an appraisal. Would you please insure the new items at cost + 30%? If I lose the items in the future, it is highly unlikely the items can be replaced at today’s cost. I don’t mind paying the higher premiums. The reason I emailed you is because I could not insure the items with the + 30% myself online. I apologize for the inconvenience. Unfortunately, if I am only able to insure the items at cost, I will have to insure with someone else.